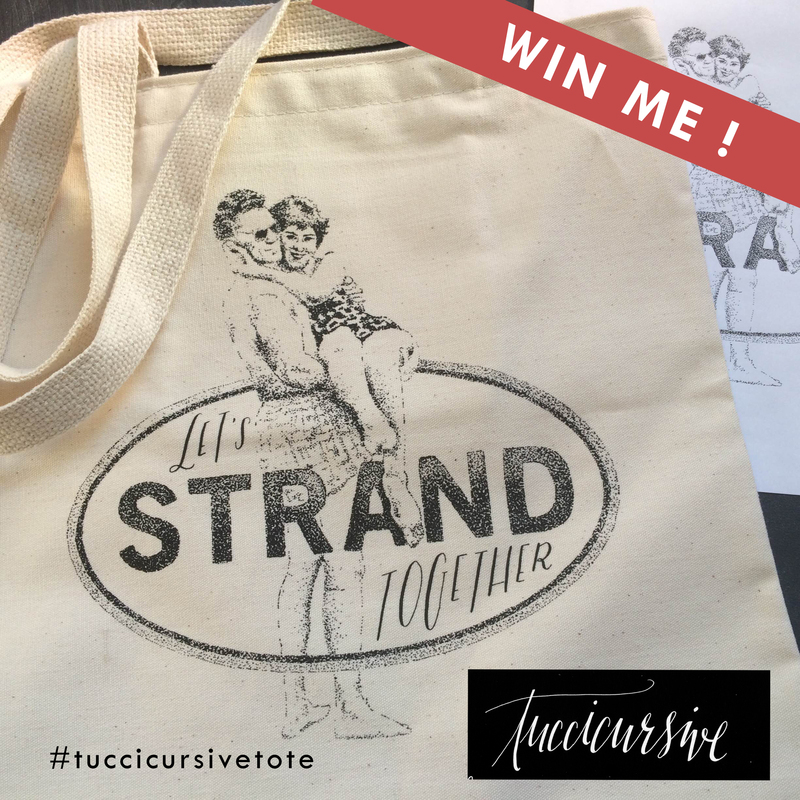 Win my “Let’s Strand Together” Tote! Illustrated, hand lettered & silkscreened (by RayGun Printing) exclusively for The Strand Bookstore to promote their recent “Color My Tote” Contest. Design is printed on opposite side of Strand Logo on official Studio Strand cotton tote. Winner will be chose at Random. Ends on Friday, August 28th at 12PM EST & Winner will be announced on Saturday, August 29th.